University of Louisville freshman Robert Geibel of the men’s golf team finished in a tie for fourth place at American Athletic Conference Men’s Golf Championship on Tuesday in Palm Harbor. Louisville finished in a tie for 5th for the team title finishing 12 shots off of the lead. This finish has landed them a spot in the NCAA tournament for just the 7th time in team history in team competition. They will be the 9th seed in the Auburn regional which runs from May 15th-17th at the Auburn University club. This is the first team appearance for the team since 2009. This past week the Cards went 4-0 as the cards defeated Ohio State and swept USF to extend their winning streak to 10 but there is no time to cherish it as the Cards face #10 Vandy tonight at 7:30 in Nashville. That game will be carried on 1570 AM on the radio. Back to last week though, the Cards dispatched OSU 7-3 at home led by Gardner and his 3 RBI and 1 Home Run. 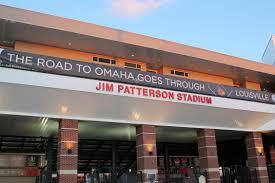 The Cards then went on a 3 game road trip to USF that seen day one rained out. That meant we would play two on Saturday but the first game didn’t start until 5pm. The Cards won game 1 3-1 after Gardner once again comes through with a 2 run single in the 5th and the Cards never looked back. Kyle Funkhouser struck out 8 batters. Then what do you do when you have a double-header that starts late in the day? You play extra innings in the second game. At least that’s our luck anyways. The Cards win game 2 in 11 innings by the score of 3-2 after a RBI game winning hit by Jeff Gardner in the 11th. Without Grant Kay’s game tying HR in the 9th this is not possible. Nick Burdi recorded a the rare feat of having a save in both games. 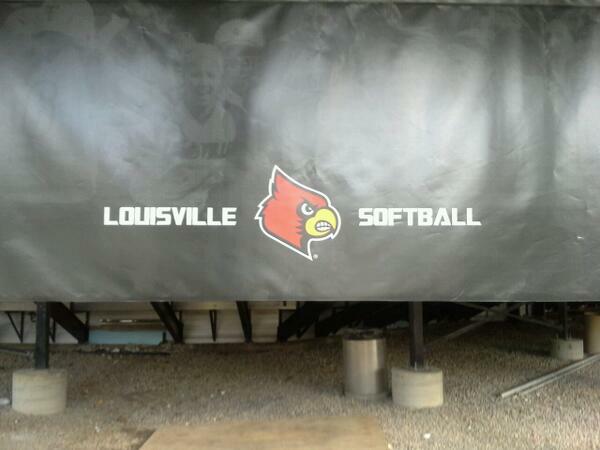 The Cards did not need extra innings on Sunday, defeated USF 9-5 despite trailing by 4 late in the game. Zach Lucas drove in four runs with 3 coming off of a huge double in the eight inning that turned the game around. Besides the top ten match-up with Vandy tonight the Cards have a 3 game slate with Conference foe Temple this weekend. The Cards did jump to #5 in the latest polls! Dropped Out: No. 24 UC Santa Barbara, No. 27 Kentucky, No. 28 Cal State Fullerton, No. 30 UCF. The Softball team had been on a great run the past few weeks but that came to a halt last Wednesday as they fell 7-3 in extra innings to #10 kentucky after tying it up at 3 to force extras. uk then put a quarter in the Merry-Go-Round and the Cards were unable to combat. They then traveled to Memphis and dropped game one 3-2 after leading 2-0 in the first inning off of back to back HR’s by Whitney Arion and Brittney Duncan. Memphis came through in the bottom of the 7th with a walk off win. In game 2 however, the Cards wouldn’t be denied winning 6-0. Caralisa Connell struck out three in a complete game shutout while Brittany Duncan and Taner Fowler had two RBIs each. The ladies wrapped up the regular season at 33-20. The Cards get Temple in the first round of the AAC tournament in Houston on Thursday at 11 a.m. The Cards went 3-0 vs Temple this season outscoring them 30-9. The Lacrosse team has been the surprise on campus this year. 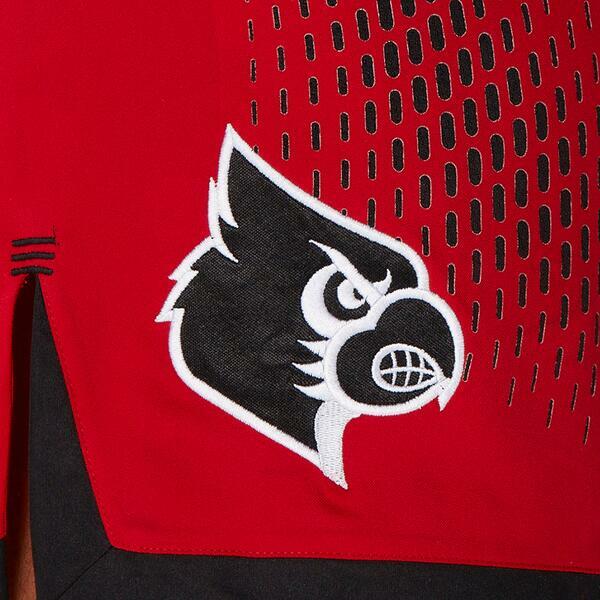 The Cards went 15-3 in the regular season only losing to Duke, OSU & ND. 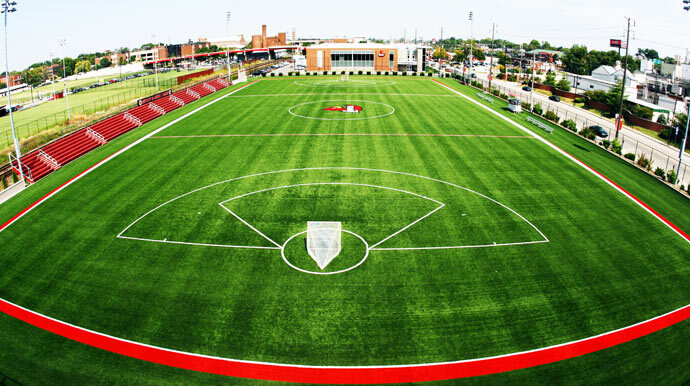 the Cards lost their three games by a total of 7 goals which is close in Lacrosse. The Cards did defeat Cincy 23-2. This was good enough to earn the Cards first ever trip to the NCAA tournament where they will face a familiar foe. On March 4, Ohio State defeated UL 12-11 on the Buckeyes home field but this time they will face each other in Illinois on a neutral ground. The Cards and Buckeyes face off at 8pm on Friday. Good Luck girls! Dropped Out: No. 19 Albany. Calvin Arsenault’s 400m hurdles title highlighted University of Louisville track and field team’s final day at the AAC Outdoor Championships on Sunday in Tampa, Fla.
Arsenault compiled one of the best men’s sprints performances on the day in recent school history. After finishing with runner-up in the men’s 110m hurdles, the junior doubled back and captured the 400m hurdles title in nearly half a second faster than the runner-up. A Kitchener, Ontario, native, Arsenault’s 400m hurdles title is the first at an outdoor conference championship since Tommy LaPaille captured the crown at the 1981 Metro Conference Championships. Overall, it’s the first league men’s outdoor hurdles title since Monty Farrell placed first in the 110m hurdles at the 1994 Metro Conference Championship. The Cardinals received a solid performance in the women’s discus from dual-sport freshman Emmonnie Henderson. Despite taking part in just her fifth collegiate meet, she finished second in the event with a throw of 49.61m/162-9. Dolly Nyemah notched a collegiate best to take fourth, and Hannah Baker picked up one point with an eighth-place showing. Louisville’s group in the men’s discus was just as successful, led by Steve Wade’s third-place finish. The sophomore logged a throw of 51.39m/168-7 on his fourth attempt, leading the pack, before two marks on the sixth throw passed him. Freshman Codie Hamsley placed fifth in the competition, and Andrew Nelson added to the team’s point total by taking sixth. Louisville’s 4x100m women’s relay contingent clocked a season-best time of 46.70 in the event. Taylor Bradley helped the Cardinals make a move on the third leg, and Kayla Tyson’s sprint down the final straight-away secured the win in their heat, placing fifth overall. The men’s 4x100m relay finished sixth. 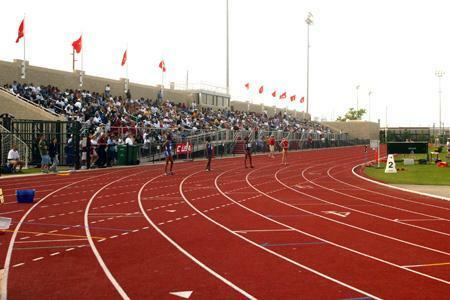 In the middle-distance events, Louisville secured scoring positions on both the men’s and women’s side in the 1,500m. Benadate Cheruiyot ran to a personal-best time of 4:31.60, placing fourth in the 1,500m. In the following race, Andrew Stewart placed sixth in the men’s race and Jonathan Reynolds took eighth. Before Arsenault’s first career outdoor title, Alexis Murry and Gwen Shaw placed sixth and seventh, respectively, in the 400m hurdles. Both set personal-best marks in the meet. In the final team standings, the Louisville men placed fourth and the Cardinals’ women’s squad finished fifth. Through the three-day competition, Arsenault (400m hurdles), Tyler Byrne (5,000m), Ernest Kibet (10,000m), and Edwin Kibichiy (3,000m steeplechase) each collected crowns in their respective events. On Saturday the #17 Cards upset #3 Ohio State in a Novice 8 competition at Bellevue Lake in Ann Arbor. The novice 8 crew is composed of all Freshman and shows flashes of greatness for the future of the program. Up next, the Cardinals will travel to West Windsor, N.J., for the 2014 American Athletic Conference Rowing Championship on May 18. The Cards are ranked top 5 in this region and 17th overall. – Women’s Golf will be back in action this week going into the NCAA Regionals Thursday after winning the AAC tournament last week. The Cards will be the 13th out of 24 teams in the East regional which will be played in Tallahassee Florida. No individual competitors were selected to compete. – Also getting another installment of 4YI from Daryl Foust soon….Can’t wait.